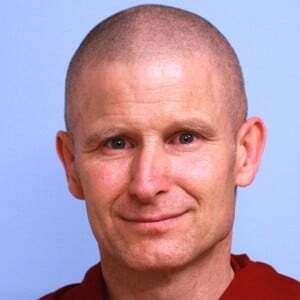 Thubten Losang became interested in Buddhism during the 1990s and sporadically read books on Buddhism and practiced sitting meditation. 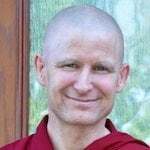 He first came to Sravasti Abbey in April 2013 for a Sharing the Dharma Day. After that, he began to visit the Abbey almost every month. In the summer of 2014, he spent 10 days of every month at the Abbey to work in the forest and joined in the Exploring Monastic Life program. Receiving teachings from a qualified teacher (Ven. Chodron), being around other practitioners, being guided and inspired by the monastic community, and establishing a regular meditation schedule turned his sporadic and confused spiritual seeking into a serious and consistent practice. Ven. Losang moved to the Abbey in December 2014 and took the anagarika precepts the following month. He received śrāmaṇera (novice) ordination on August 10, 2015. See his ordination photos. He received full ordination in Taiwan in 2017.